Any of those construction gaps in the roof of this house in Albany was big enough for bats to get through. It looks like they were using more than one judging by the staining. 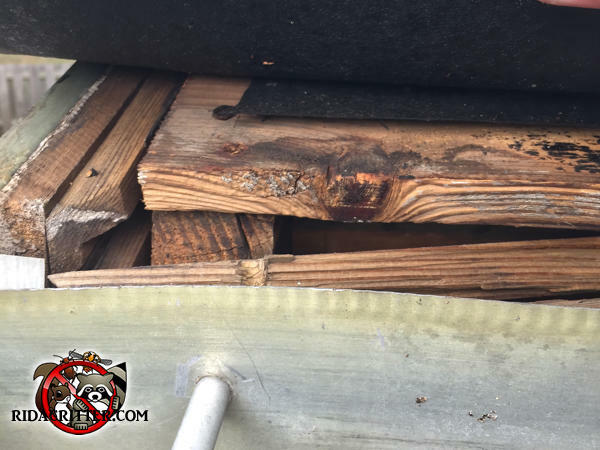 To learn more about humane bat removal and bat-proofing in the Macon area, please click here.